I have an almost 1 year old and I love this podcast for thinking ahead to prepare her heart to love the Lord! Thank you Courtney! Parents of girls - tune in! I love this podcast! As a Mom of 2 girls itâs a weekly go to filled with Godly wisdom, practical tips, and reminders of Godâs grace and love in this journey! Iâm so thankful for this resource in my life! I share it with all the girl moms I know! Tune in - You wonât be disappointed!! I love this podcast and love to recommend it to other moms! I have 4 daughters who are 6 years old and under, I have definitely used this podcast has a resource for my parenting. This Podcast and Treasured Girls ministry has encouraged to start my own mother/daughter group! This is such an awesome podcast!! Iâm literally addicted to it. I listen almost every morning getting ready and always looking forward to the next one. Iâve shared it with all my moms of girl friends and even moms if boys because they are just great parenting content. Love Courtneyâs style and how she leads these interviews. This is one of my favorite podcasts as a mom of girls! Thanks!!! Such great wisdom and timely advice for Moms! Iâm loving this podcast series and look forward to listening to it! The topics Courtney cover are so pertinent to raising Godly girls and equipping and nurturing ourselves as moms. I love that it is a bit lighthearted so I can listen to it while I go about my day and feel encouraged! Sometimes after a long day of walking on eggshells with my tween itâs so nice to know Iâm not alone! Thank you for such great advice and always pointing me to Jesus. Raising 3 daughters is no joke! Am shocked about Wynter and sad But I know she is with her Lord!Thanks for doing this podcast about her! I loved listen to her and her husband talk about raising girls -God Bless! So grateful to have stumbled upon this podcast! As moms we are out here trying to do our best and this is so encouraging! Thank you! Thank you ladies for sharing your hearts, lives,and wisdom with others moms. Listening to your podcast gives me strength and encouragement to keep on this journey and reminds me of Gods grace and fellowship. You are an inspiration to me! This podcast has been a game-changer for me as a mom of girls! I am so encouraged by just hearing that others are going through what Iâm going through. This podcast has given me some great tools in the parenting arsenal and I highly recommend! This brand new podcast has hit the ground running with some awesome content. Courtney and Wynter are hilarious together but also know how to bring the seriousness of the conversation out and give great advice as well as bring guests who can drop some advice on specific topics. I appreciate their honesty that they donât know it all and their tribe vibe that we can help each other learn how to raise and lead girls. Highly recommend this much needed resource! I have known Courtney for a few years now and I KNOW I can trust anything she is leading!! She and Wynter are the perfect pair to tackle this much-needed subject of raising fierce, confident girls in our current culture. These two ladies are wise, engaging, humble, funny and highly relatable. I mean this podcast is HUGE and has helped me so much! I know mom friends who coach, counsel, and train but we are pulling from so many places that we have to filter through the parenting drill to find girl specific material! This is it and I can speed it up and listen in my car! Keep going..this is so fun! Having just listened to all three episodes, I can tell you this is already one of my favorite new podcasts. 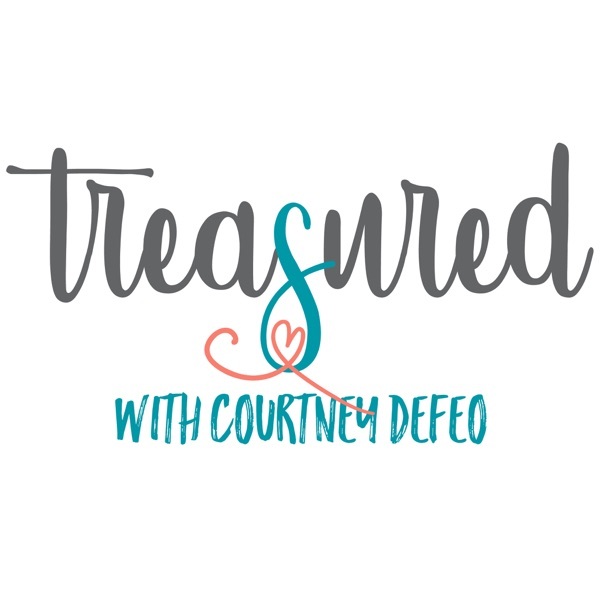 Courtney and Wynter are a dynamic duo, full of encouragement and wisdom and legit practical ideas for raising tweens well.